The Student Council consists of 15 student representatives including the College Captains and College Vice Captains. It is comprised of Year 12 students and is based at the Davisson Street Campus. 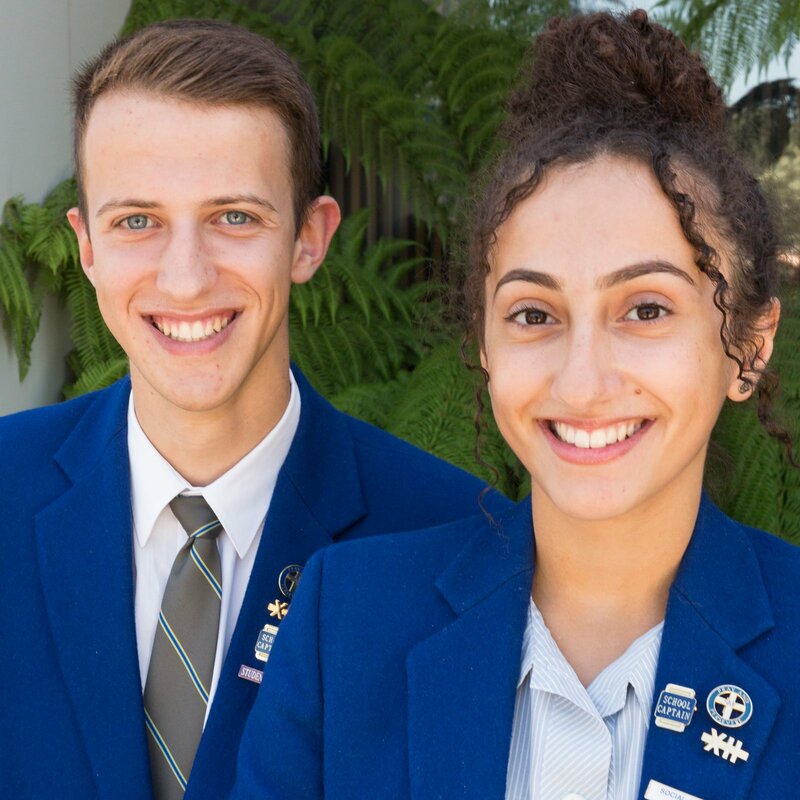 The Student Council plays an important role at St Monica’s College. It promotes school spirit, community service and the development of leadership skills. All Student Council representatives hold responsibilities in a particular portfolio – Fundraising, Special Events, Liturgy, Social Justice and Media. They work in teams on initiatives and activities throughout the year, in addition to representing the College and the student body on various issues and a range of events. All funds raised by the Student Council contribute to improvements in the general College environment. Funds raised by the 2011 Student Council have contributed to the College’s sponsorship of a child requiring life changing surgery. In addition to portfolio responsibilities, each member of the Student Council represents a particular year level to ensure that students at all year levels are heard and represented. The Student Council undertakes training to assist them in their role as student leaders. The Junior Council consists of 15 representatives from Years 7-9 and is based on the Dalton Road Campus. The Junior Council works in cooperation with the Student Council with an aim to further develop the strong link between the two campuses of St Monica’s College. Students in the Junior Council undertake various training sessions in order to develop valuable leadership skills in public speaking, meeting procedures, communication, decision-making and team work. All Junior Council members hold responsibilities in a particular portfolio – Special Events/Archives, Fundraising, Media, Lunchtime Activities and Liturgy. In addition to portfolio responsibilities, members of the Junior Council are responsible for raising issues, concerns and suggestions of their year level at Junior Council meetings. Early in the school year, students from each homeroom in Years 7, 8, 10 and 11 are given the opportunity to nominate for positions of Class Captain and Class Vice Captain. Students in these positions of leadership assist the Homeroom Teacher, Year Level Coordinators, the Student Council and Junior Council with College activities as required. Class Captains, consistent with all students in positions of leadership, participate in training sessions to help develop skills in Christian leadership through a Gospel understanding of leadership. Each year, Specialist Captains are selected in the following areas: Music, Dance/Drama, Public Speaking, Envirofriends and Publications. Support teams are also established in the areas of Liturgy, Publications and Sound & Lighting. Being selected as a Specialist Captain is an opportunity offered to students to undertake a leadership role in a specialised area of the College. The Publications Captain and Vice-Captain are based on DSC and work closely with the Annual Editors and the Publications Team to produce the College Annual and to assist with other publications within the College, such as Year Level Newsletters. Envirofriends Captains represent each campus and they work with other Envirofriends Teams on various campaigns and activities, by promoting environmental awareness. The Music Captain, usually a senior student studying VCE music, leads a team of other ensemble leaders to promote and enhance the profile of all types of music within the College. The Performing Arts Captains, and the Public Speaking Captains also have representatives on each campus and work together with staff in these specialised areas to promote student involvement, support activities, and advertise up-an-coming events. The Specialist Captains meet as a group several times a year and also undertake training in leadership, communication and public speaking skills. All Specialist Captains and team members receive general leadership training consistent with programs offered to other student leaders as well as specialised training prepared by staff relevant to their particular role.